Towards the end of last year, I did something very uncharacteristic and bought a mobile phone off the shelf, but in my defense it was a Nokia Lumia 920, my much lived Sony phone had died and I was just about a year away from my next upgrade. Over the last 9 months the 920 stole my heart and loyalty, and I said I would never want another phone again. After a comedy of stupid mistakes, we managed to lose one of our Nokias to the evil pits of hell where sad mobile phones go to die, leaving a gaping chasm in my life. And then my contract renewal came round. 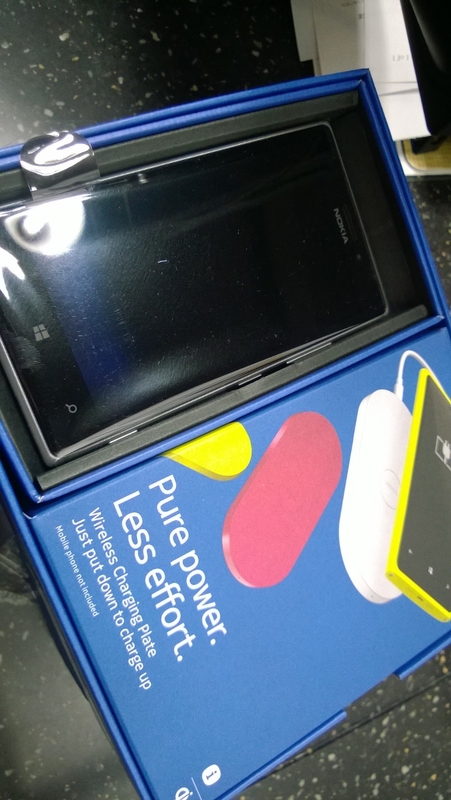 And the Nokia Lumia 925 became available. And the chasm was bridged, filled, closed. The first noticeable difference between the 920 and the 926 is the weight. While I loved the feeling of the 920 in my hand, it was a weighty phone. The 925 is much, much lighter, while still maintaining that nice in hand feeling. I also quite like the new candy shell cover, and i hope it is better at protecting the apparently not so unbreakable gorilla glass. So far, the phone also feels snappier than the 920, and the screen appears to be a little crispier, while the touch screen feels a bit more responsive. So far, i am happy with the upgrade.